• If your organisation has the appetite… agree to start seeking funding for our partnerships. 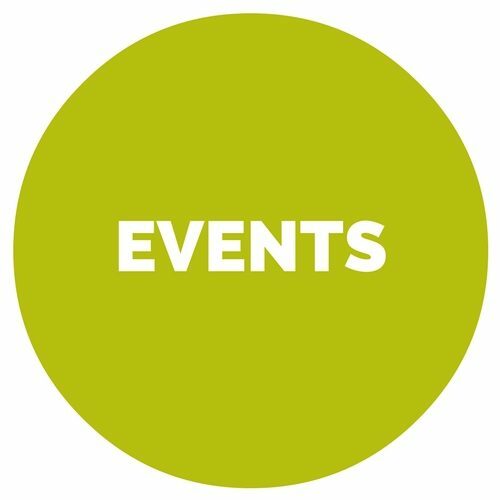 The ICN Partnership Groups are open to networks of people and organisations representing particular parts of the borough or particular issues. Contact Antony Bewick-Smith for more information: Antony.Bewick-Smith@vai.org.uk or 0207 832 5833. 4th April, 2.30 – 4pm or 6.pm –7.30pm. VAI, 200aPentonville Rd, N1 9JP. Moorfields Eye Hospital is proposing to build a brand new centre for world-class eye care, leading-edge research and professional training. The new centre would replace the current Moorfields Eye Hospital on City Road in London. Come join in the discussion on the future for Moorfields Eye Hospital. Click here to book and chose a time which suits you. 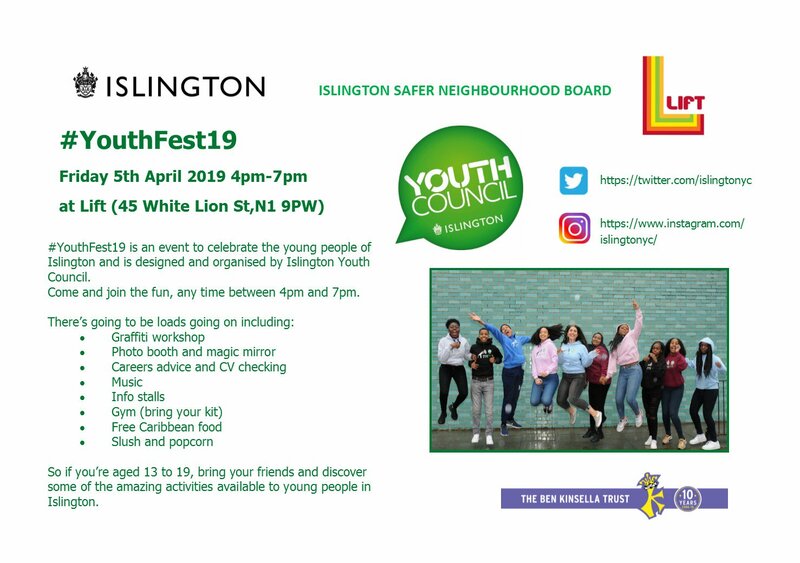 Islington Youth Councillors will celebrate the young people of Islington. There is going to be lots of free activities. This event is aimed to young people 13 – 19 years old. More info here. Inspiring Islington is a photography exhibition where everyone has a story about their connection to Islington. Opening on 5 April at Islington Museum, Inspiring Islington features the stories of people featured on the popular blog ‘Islington Faces‘ written by Nicola Baird and with photography by Kimi Gill. The exhibition it is supported by a range of other free events, more info here. 8th – 19th April, 12pm – 2pm. Different locations in Islington. Lunch Bunch is a project to address holiday hunger in Islington children. It is open to children aged 6-12 (year 1 to year 7) from families on benefits or low household incomes. There are 8 lunch brunch locations which parents can go with their kids. They provide healthy lunch for the children and fun activities to do. More info at lunch.bunch@islington.gov.uk or call the Family Information Service on 020 7527 595. Book your place here. This is a FREE workshop and lunch is provided. The morning session, will be about how to improve interview skills. Help to gain confidence, providing tips on how to be better at interviews. At the afternoon session, volunteers from Hogan Lovells will be conducting a mock interview and give everyone constructive feedback. Interested should contact Jane on 020 7549 8717 or John on 020 7549 8179. This health and wellbeing day brings together healthcare specialists, community associations, nutritionists, artists and informal groups in one place to share what they do and how they can support people. A free day of activities for all age groups, like baby yoga, chair-based salsa, keep-fit tasters and a pop-up cafe. More info here. Can You Live Your Best Life In Islington? Merium Bhuiyan from Cakeface Makeup; Archway-based Choices director Sheri Lawal & Flora Williamson from islington4women, discuss how women of all ages can live their best life in Islington. Chaired by Islington Faces’ founder Nicola Baird. Expect to find out useful info about life, work and ways of bolstering our communities in Islington, plus delicious cake. Booking essential. This event is part of Inspiring Islington. Who is responsible for the provision of welfare services? A chance to explore and challenge the findings of a study into the changing boundaries between voluntary sector and state provision in the 1940s and 2010s. More information here. This event is free and lunch provided. The FSI’s popular small charity training is back in London this 14th – 16th May! Explore 16 different courses covering topics such as corporate relationships, trusts and foundations, fundraising strategy, charity leader responsibilities, demonstrating your impact and many more. These courses are heavily subsidised and fill up fast, so book now: https://bit.ly/2V8nrZk. Islington Council and charity Muslim Aid have signed a memorandum of understanding to facilitate the provision of organised assistance to the local community during major emergencies. The memorandum provides a formal channel through which Islington Council can call on Muslim Aid for assistance in the event of an emergency, alongside other charities such as the British Red Cross. The aim of the partnership is to provide rapid humanitarian assistance, assisting vulnerable people during and following a major incident or civil contingency. Further info here. London plus and the Greater London Authority have created a new resource to help charities and civil society groups make better use of the London Datastore. The London Datastore is a free and open data-sharing portal where anyone can access data relating to the capital, currently holding over 700 datasets. The resources are centred around three hypothetical scenarios to help users: Understand the impact of population growth on service provision; Target service provision based on need within a borough; Understanding the local area and its residents better. 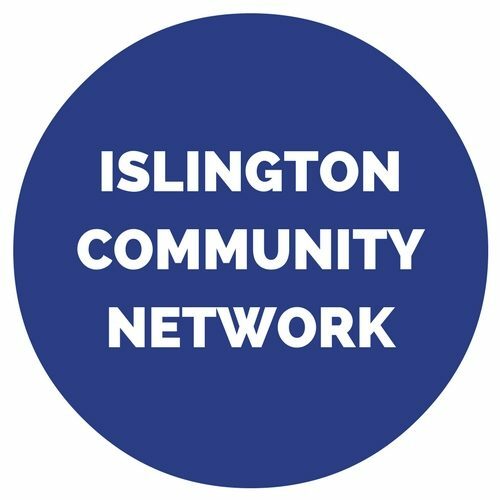 Disability Action in Islington (DAII) will be hosting a monthly informal forum at their office and inviting different speakers to come in and chat to residents about what their organisation can offer. DAII wants to offer people a safe space in which to find out more about issues currently affecting them, and to share their experiences. This month the speaker will be from Debt Hacker, a free organisation which allows people to make complaints to payday lenders – Friday April 26th. More info here. Healthwatch Islington asked residents, relatives and staff what they thought about the activities offered in Islington care homes. Despite the challenges, they found many examples of good practice in the homes they’ve visited. Find more here. Healthwatch Islington also uploaded a guidance to help provide the right information to people before choosing a care home. Read their guidance here. How much you pay to abide by the National Minimum and Living wage, how you issue payslips, and how much you contribute to pensions are all changing in April. Read the NCVO post “Seven big changes to employment law in April” and check whether your charity is prepared. Founders & Coders are again inviting participants to their pro-bono Tech For Better programme. Tech for Better is a pro-bono programme for nonprofits to design, test and build new digital service ideas using developers in London and Palestine, supported by Intersticia. Their developers will work closely with you to identify your needs, then build an app that meets those needs and helps you do what you do, but better. Take advantage of digital technology to create a positive social impact! Informational slidedeck and further info here. Upcoming Introductory workshop dates for which spaces are still available are on 8th and 15th April. The next available dates will then be in July, starting on July 15th. The Small Charities Coalition launched charitysetup – a clearer, simpler tool to help people register with the Charity Commission. They’ve had a fantastic response already but want as many small charities as possible to look at the site so that they can make sure that we continue to improve the tool. Safe havens are a practical way of helping everyone in Islington enjoy their community knowing that support is easily available if they need help. Public premises such as shops, cafes, pubs, libraries and other places of interest can register to be officially known as a safe haven. If you or any of your service users are in danger, feel threatened or harassed on the street, are unwell or just in need of some help they can look for the safe haven sign in windows. More info and save havens sites list here. Islington Council has set out a new four-year Homelessness and Rough Sleeping Strategy, which includes innovative work to prevent and reduce homelessness and to work towards ending rough sleeping. The practical approach to tackling homelessness focuses on preventing people becoming homeless in the first place. Included in the plan is building more new council homes and genuinely affordable homes for local people in severe housing need, enhancements to the council’s mediation service to help reduce homelessness caused by family and friend exclusions and private sector tenancy terminations. More info here. London Together fund is open till (12 noon) on Friday the 5th April 2019 for applications in sports for change projects that aim to improve social integration The second round of London Together funding is now open. Funding will be awarded for projects of a minimum £25,000 and maximum £150,000 that will take 1 to 2 years to complete. For more info click here where you can also apply for the fund. Drapers’ Company offers grants in the fields of education and young people, and social welfare. Grants are also awarded in support of textiles and heritages. Applications can be applied at any time of the year. The Charities Committee meets 5 times a year applications will normally be considered at the next meeting following submission, providing they are received at least four weeks before the date of the meeting. 2nd meeting is on 30th April. To apply, send a detailed proposal document explaining what your organisation does, how you intend to spend the money, and your most recent financial accounts and trustees’ report, together with a completed Application Summary Sheet.& sent by post only. The Harold Hyam Wingate Foundation considers applications for support performance arts, music performances and education which do not readily attract backing from commercial sponsors or other funding bodies. Next deadline is Tuesday 7th May 2019 by 5pm. Fill in the application form and send a stamped addressed envelope with the application. Magic Little Grants 2019 gives local charities and community groups the chance to apply online for a £500 + a free Localgiving annual membership (to new Local giving members) to deliver projects across Great Britain that encourage people to be physically active. Successful projects will support and inspire people to participate in sports or exercise with the primary aim of improving the physical health of participants. With its simple 10-minute application process, the Magic Little Grants fund reduces the work required for local organisations to access the funding they need to launch or strengthen their services. Applicants must either be in their first year of operation or have an annual income under £250,000. Applications will be accepted until 30th November 2019. You can find more information about these and other funding opportunities in our 2019 Voluntary Action Islington Funding booklet. Some application for grants will be closed in early April, make sure that you would not miss the deadline by checking our funding booklet! 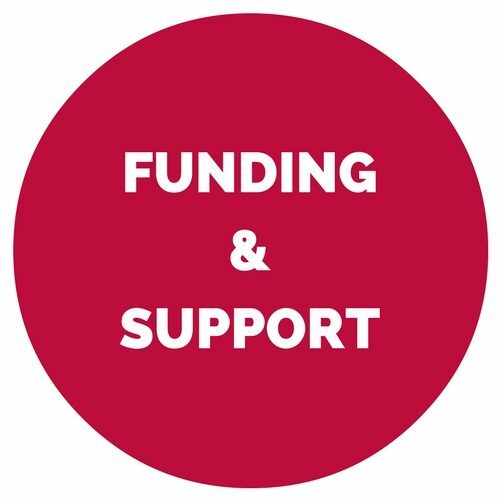 The Islington Funding Toolkit enables organisations to easily search for information on current and up and coming funding programmes. 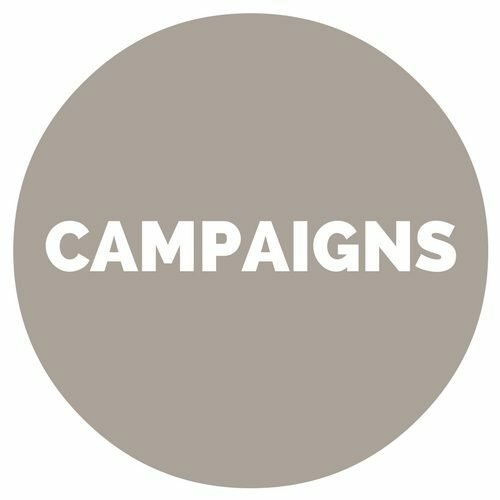 The government has launched a public information campaign to ensure that UK citizens, businesses, civil society organisations, EU citizens living in the UK and UK nationals living in the EU are well informed about how Brexit will affect them and the practical steps they will need to take to be ready. Social Security Committee: Universal Credit Claimant Commitment – As part of its independent work programme, the Social Security Advisory Committee (SSAC) is conducting research into the Claimant Commitment. SSAC is trying to gather evidence to underpin the research, and would welcome input from a broad range of organisations and individuals who have relevant insights or evidence. Deadline for responses 16th April 2019. The Tackling Homelessness Together consultation seeks views on how the government could improve local accountability for the delivery of homelessness services. This consultation is open to everyone. They are keen to hear from a wide range of interested parties from across the public and private sectors, as well as from the general public. The consultation will run until 16th May 2019. The Local Government Boundary Commission for England is asking local people and organisations for their help to draw up new ward boundaries across Islington. The Commission has also announced that it is minded to recommend that the council should have 51 councilors in the future. Have your say! Consultation closes on 3rd June 2019. Trust for London co-funded Bright Blue’s report “Helping Hand? Improving Universal Credit”. Their recommendations include offering new claimants an upfront ‘helping hand’ payment and capping the number of claimants a work coach may be assigned. The Charity Commission published “The Guidance for charities with a connection to a non-charity” The guidance aims to explain how charities should handle relationships with connected entities such as funders, public bodies and trading subsidiaries. Ofsted has published the results of its research into how schools, colleges and pupil referral units in London are protecting children from knife crime. Download the “Knife crime: safeguarding children and young people in education” to get all the details. Children’s engagement with nature and the outdoors, a study conducted for Natural England surveyed how much time children and young people spend outdoors and engaging with nature, their attitudes to it and how this has changed over time. During 2017-18, 70% of under 16s and 64% of 16 – 24 year olds spent leisure time outdoors at least once a week.